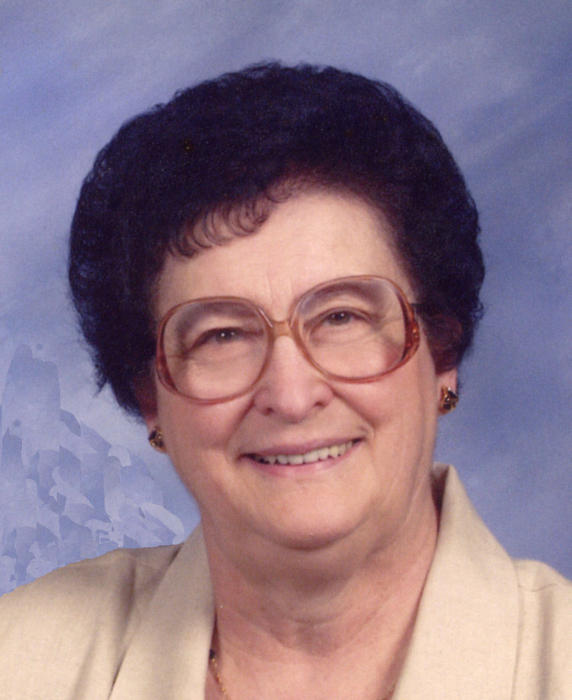 Lorraine LaLuzerne, 90, of Sturgeon Bay, passed away on March 25, 2019 at Autumn Fields in Dykesville. She was born June 6, 1928 in Lincoln to Fred and Lucy (LeCloux) Vlies. On May 18, 1948, she married Milton G. LaLuzerne in Lincoln and together they farmed and raised 8 sons and 1 daughter. Lorraine also worked for Wisconsin Food and Emerson Motors until her retirement in 1989. Milton preceded her in death on March 3, 2019. Lorraine loved to polka dance. She learned at a young age from her father and later taught her husband how to dance. Together, they shared a lifetime of loving polka music and dancing. Lorraine’s other pass times included stiching quilts, cooking, travelling, and making other crafts. She especially enjoyed cooking and spending time with her family and friends. Survivors include 8 children, Dennis LaLuzerne, Forestville; Pat (Cindy) LaLuzerne, James LaLuzerne, Ronald (Christine Conlon) LaLuzerne, Lyle (Diane) LaLuzerne, Lori Jean LaLuzerne, all of Sturgeon Bay; Neal LaLuzerne, Brussels; Dean (Amy) LaLuzerne, Luxemburg; 15 grandchildren; and many great-grandchildren; 1 brother-in-law, Donald (Jillian) LaLuzerne, Brussels; 1 sister-in-law Diane (Allen) Johnson, Green Bay. She was preceded in death by her parents, husband, 1 son Mark LaLuzerne; 3 brothers, Orville, Clifford, and Norman Vlies; and a sister Grace Vaness. Special thanks to the staff at Autumn Fields and Heartland Hospice for all the wonderful care and support.